Buying a vacation home in the U.S. Virgin Islands can be a lucrative investment opportunity as well as a personally rewarding experience. Vacation home ownership on St. John provides not only the unparalleled security of real estate investment in the United States but also it is one of the most ideal vacation locations on Earth! St. John is unique; it offers the opportunity to own a dream vacation home with magnificent ocean views on an island that has approximately two-thirds of its land and submerged coastal areas protected as The Virgin Islands National Park. www.nps.gov/viis The island offers a slow pace of living and is home to a small community of about 4,200 people. Part of the allure of St. John is in the verdant green hills and the world-class, beautiful white sand beaches. Most St. John homes are designed with open styled floor plans, high ceilings and large decks to take advantage of the constant trade winds and the panoramic views. 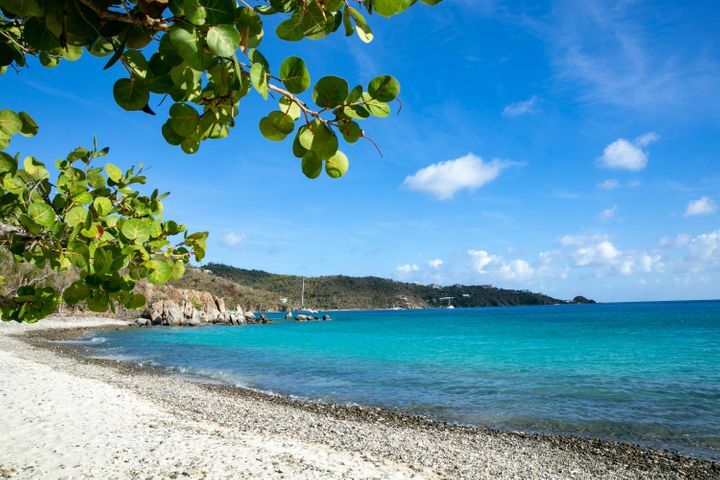 Quite often referred to as “The Beverly Hills of the Caribbean”, St. John real estate prices associated with the purchase of a dream vacation home located on a beautiful, protected Caribbean island can be a bit ‘lofty’! 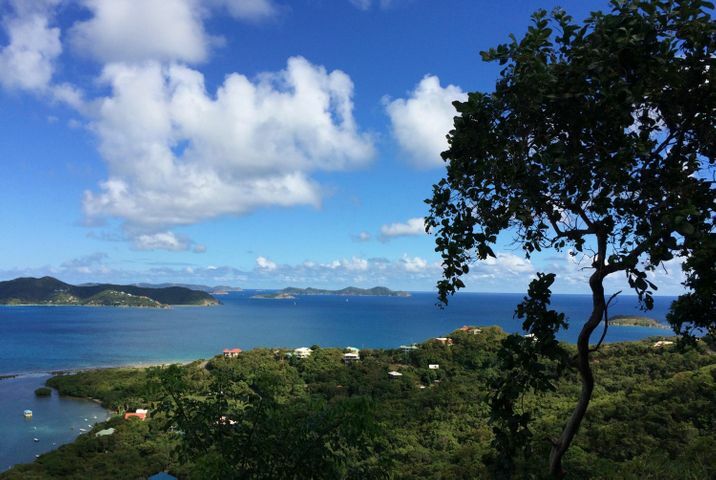 St. John is a buyer/investor’s paradise as there are currently more than 600 active real estate listings on the St. John Board of Realtors Multiple Listing Service (STBORMLS). Of these active listings approximately 150 are residential homes; 30 are condominiums; 150 are Fractional/Timeshare units; and approximately 270 are listings for undeveloped land. Residential homes range from $118,000 for a 600 square foot Studio + 1 Bath house in Glucksberg to $13,500,000 for a combined 11,680 square foot, 7 Bedroom + 8.5 Bath estate in Chocolate Hole. 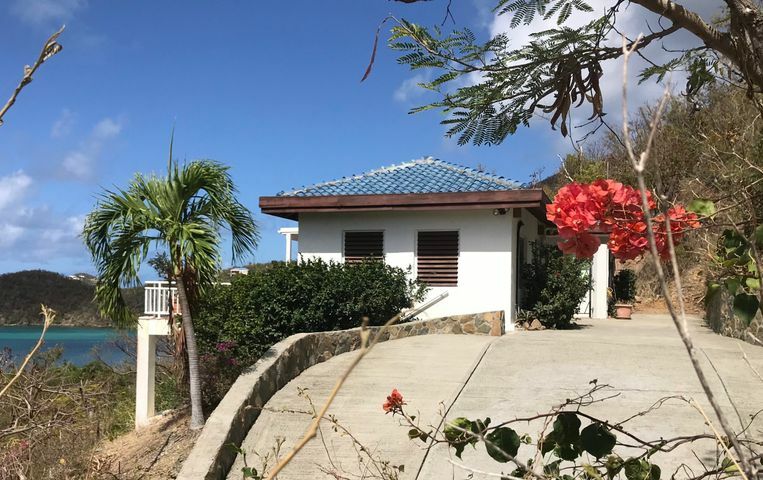 Condominium units range from $195,000 for a 535 square foot, 1 Bedroom + 1 Bath condo in Cruz Bay to $1,195,000 for a 1700 square foot, 3 Bedroom + 2 Bath condo in Cruz Bay. Undeveloped land prices range from $58,000 for a .355 ac building lot in Coral Bay to over $9,150,000 for an 18 ac development tract in Privateer Bay. Fractional/Timeshare units range from $3995 for 1 week ownership in a 2 Bedroom, 2.5 Bath deluxe townhome villa in Bethany to $150,000 for 1 month ownership in a 3 Bedroom, 3.5 Bath luxury villa in Virgin Grand Estates. The purchase of a vacation home on St. John will require the right amount of planning and preparation as well as locating a real estate agent who is intimately familiar with the island and highly experienced in vacation home ownership. Buyers need to be sure to ask the right questions about potential properties and working with a knowledgeable Realtor™ will insure that the Buyer will receive the best and most accurate answers and insights regarding real estate on St. John. Buyers should always obtain professional assistance from the beginning of the purchase process in order to reduce if not eliminate potential problems. A Buyer can be protected against expensive mistakes if they proceed carefully and stay informed about all issues relating to vacation home ownership on St. John. Ask questions, demand answers and trust your Realtor™ but most importantly, always become ‘an informed consumer’. 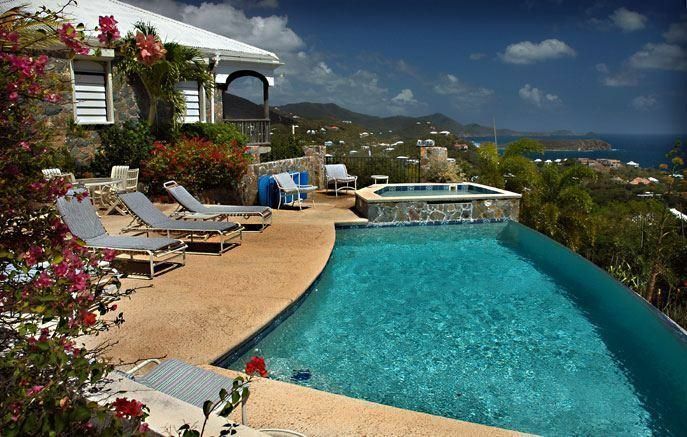 An experienced St. John real estate broker, such as Cimmaron Vacation Home Realty, can be an invaluable resource in locating and presenting properties appropriately suited to individual interests, providing valuable insight into the various areas on St. John where a Buyer may be considering the purchase of a vacation home and working closely with the Buyer to evaluate the pros and cons of each property. If you retain the services of Cimmaron Vacation Home Realty as your Realtor™ and enter into an agreement whereby we will be acting in the capacity as a ‘Buyer’s Agent’ we will have a fiduciary duty to act solely on your behalf as our ‘client’. This means that our goal will be to safeguard your confidentiality and act in your best interests in negotiating prices, arranging financing and managing the closing. 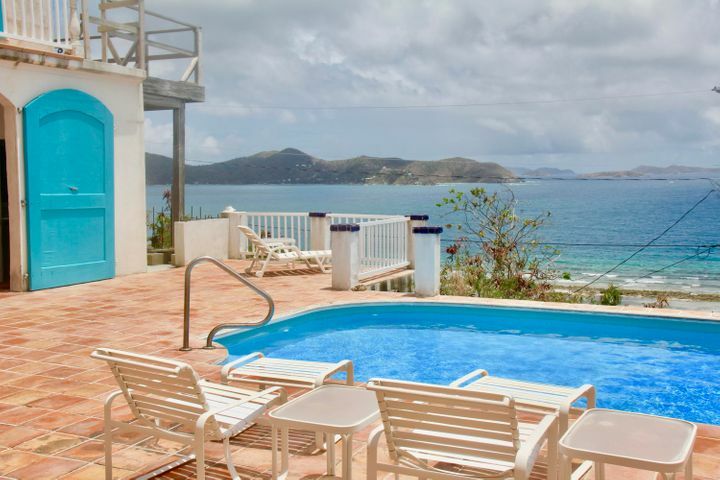 As a Buyer’s Agent, Cimmaron Vacation Home Realty will provide personal and professional real estate services which can help you obtain maximum value, while guiding you through all of the issues related to buying real estate on St. John. Payment for professional services rendered by Cimmaron Vacation Home Realty acting as a Buyer’s Agent is generally made by the Buyer. If you do not wish to retain Cimmaron Vacation Home Realty as a Buyer’s Agent, then we can still provide comprehensive real estate services to you, however, we will be acting as Agent for the Seller and our fiduciary duty will be with the Seller. In this case, you will be treated respectfully as our ‘customer’ and we will afford all reasonable assistance to you by helping you to locate a suitable property to purchase, submitting offers to purchase, providing referrals to home inspectors, surveyors, attorneys, etc. and providing assistance to you with closing the transaction. Payments for professional services rendered by Cimmaron Vacation Home Realty acting as Seller’s Agent are generally made by the Seller or listing agency. Make a list! Be sure to include items such as air conditioning, generator, new appliances, furnishings, accessibility, geographical location, a swimming pool, etc. Establishing your criteria early will save time shopping for inappropriate homes and may keep you from buying a home on a whim. Keep in mind that the top reason for buying a vacation home should be the value you are getting and if considering placing the home in a short term vacation rental program, it’s overall suitability for this purpose and the potential ROI (Return on Investment). Prior to submitting a contract to purchase a vacation home, make sure that the contract you sign provides a contingency for you to inspect the home and negotiate the resolution to any problems that you uncover. It should also include provisions allowing you adequate time to arrange financing (if needed or desired). You should always consult an attorney before you sign a contract to buy a home. Keep in mind that it is generally too late to consult an attorney after you have signed a purchase contract because at that point, you have already committed to whatever terms are in the contract that you signed. Hiring a qualified home inspector to provide a comprehensive home inspection before you buy a vacation home will provide specific information relating to the general condition of the home and will provide you with the knowledge to make an informed purchase decision. Utilizing a qualified home inspector is absolutely essential for anyone who does not want to spend thousands of dollars for unseen problems which could lead to very costly repairs. A certificate of Title Insurance is provided by title insurance companies to insure the title for the owner of a residential property. Title insurance will protect against financial losses related to defects in the title and any costs associated with defending the title. Before finalizing a real estate transaction, you should consider obtaining a title report and title insurance. Property ownership in the U.S. Virgin Islands is under the U.S. flag and is fee simple, allowing the owner to enjoy the property and freely sell, transfer, or will the property to others, as desired. A deed is a legal document that verifies the ownership of property by an individual or organization. The preferred form of real estate deed is a General Warranty Deed. This document guarantees to the buyer that the seller has the legal right to sell the property in question. It also signifies that the real estate does not have any liens or debt attached to it. Another form of real estate deed is a Special Warranty Deed. While generally more common in commercial real estate transactions, there are certain applications in residential real estate transactions such as in foreclosed residential property where this type of deed may apply. A final consideration is the Quitclaim Deed. This document allows one party to transfer any real estate rights or claims it may have to another party, typically without any significant monetary consideration. A quitclaim deed is most appropriate when transferring property to a family member or close friend. As is the case in virtually all developed countries in the world, taxes are an undeniable fact of life! The Virgin Islands are certainly no different and the payment of real estate property taxes is a responsibility that is attached to ownership of real property. 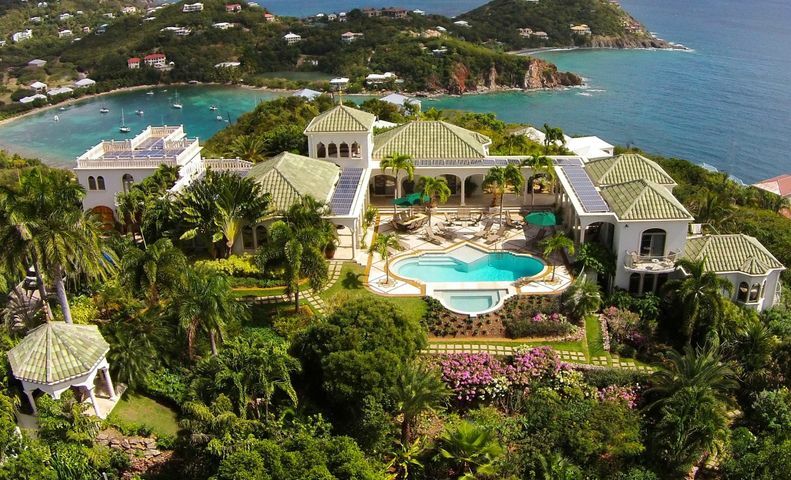 Property taxes in the US Virgin Islands are generally lower than most US mainland states. 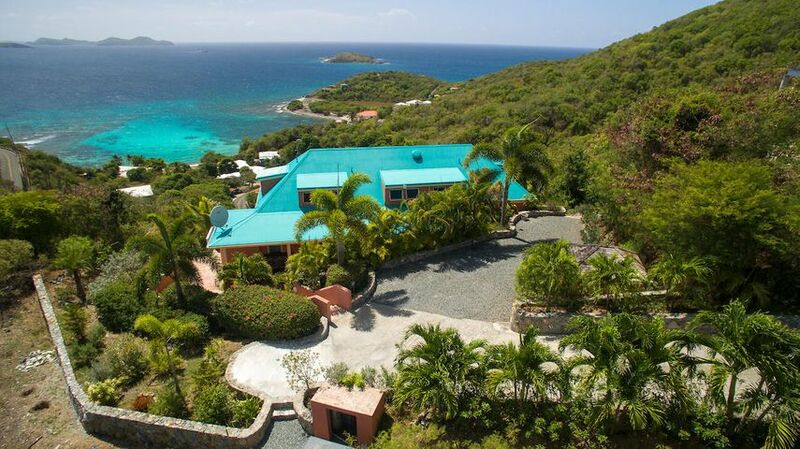 The US Virgin Islands currently imposes a real property tax at 1.25% of the property’s assessed value. The property’s assessed value is 60% of its actual value or fair market value. Thus, the effective tax rate is 0.0075% of the property’s fair market value. However you decide to use your new vacation home on St. John, always keep in mind that your ‘special’ vacation home makes for an authentic getaway to paradise with ultimate levels of privacy and freedom that you simply can’t find at any resort or hotel. Once you get here and walk through the front door of your very own vacation home in paradise; relax, kick your shoes off and stay awhile – you’re not just visiting, you’re at home!